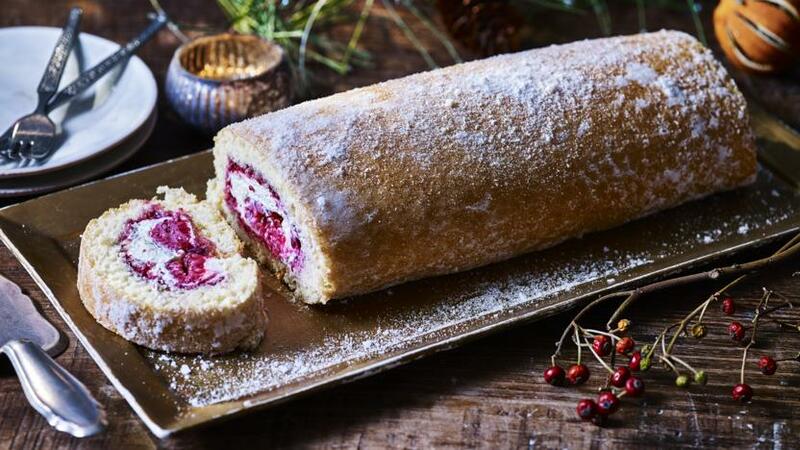 This really fluffy, fruity and creamy Swiss roll is perfect for family gatherings, birthdays or as a special after dinner treat. Preheat the oven to 190C/170C Fan/Gas 5 and line a 23x33cm/9x13in Swiss roll tin with baking paper. Place the eggs, sugar and vanilla seeds into a bowl and whisk until very pale, fluffy and thickened. Sift in the flour and carefully fold in. Pour into the lined tin and smooth with a spatula until evenly spread. Bake for 10–12 minutes, or until just firm to the touch. Place a sheet of baking paper, slightly bigger than the tray, onto a work surface and dust with caster sugar. Turn the sponge out onto the paper, peel off the baking paper on the bottom of the sponge and set aside to cool a little. Pour the double cream and vanilla extract into a large bowl and whip to soft peaks. For the raspberry jam, heat a frying pan until hot. Add the sugar, lemon zest and juice and cook for 3–4 minutes until the sugar has dissolved. Mix in the raspberries and cook for 3–5 minutes until thick. Remove from the heat and set aside to cool. Spread the jam over the sponge, leaving a 2cm/1in gap around the edge. Spread the whipped cream over the top, leaving the edges, then sprinkle over the whole raspberries. 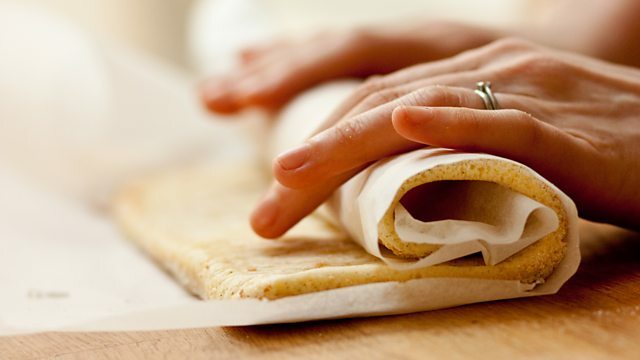 Take the longest edge of the sponge and using the baking paper underneath, roll up the sponge quite tightly, making sure the filling stays inside. Roll the sponge off the parchment, dust with extra caster sugar and cut into slices to serve.